Day9, I know you think this was a throwaway Daily but, trust me, it wasn't! Watching you play Ladder games has been something your fans and Subscribers have wanted for a long time! Not because we expect you to be better than you are--you're great, by the way, but we all understand you have a life and a job and don't have the time necessary to play at your old Pro level--but because we want to see how your games mature and develop over time and watch how you apply your own strategic insights to helping it all roll along. Watching you analyze someone else's games is great and all but watching you do it yourself is even better. So, to state it again, we LOVED the Laddering, amigo! Hell, just LOOK at all the responses you got. Have you seen that many for your other Dailies? It's an itch that your fans would like scratched! And, besides, watching Day9, the master strategist, Ladder is NOT the same as watching the other bajillion streams out there. It's really not. 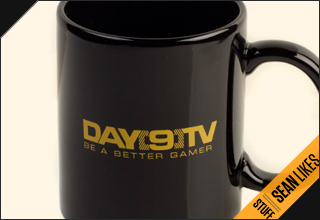 You're unique and nothing you could do would make your Dailies into just "another stream."